A busy blog post for you today with my review of The Damselfly, some photos from the Edinburgh launch last week and a Q&A with author Susi Holliday. First of all my review. The Damselfly is the last in the Banktoun trilogy and I think the author has truly saved the best for last! DS Davie Gray and DC Louise Jennings are called to investigate the death of bright school pupil Katie Taylor in the small East Lothian town of Banktoun. For a relatively quiet town, there have been a few serious incidents recently, explored in the books Black Wood and Willow Walk. Polly McAllister has been thrown in at the deep end on her first day as a guidance teacher when Katie’s death is discovered and announced to the pupils. As well as supporting the traumatised school community she is shocked when a member of staff comes to her with a surprising revelation. Rumours and allegations quickly fly round the community, with some of them ready to take matters into their own hands. The Damselfly is a book full of suspense and secrets right from the start. Everyone seems to have something to hide, from Katie’s boyfriend, to one of her teachers, her brother and even Polly the school counsellor. Often in a fictional small town setting everyone knows every else’s business but here it seems almost everyone has been adept at keeping major secrets well hidden. I was hooked as the author carefully left clues, hints and red herrings with my suspicions falling on many of the residents of Banktoun. Adding to the intrigue were the mysterious blogpost entries on the ThreeWiseMonkeys blog. Who was writing these posts and who was ‘SpeakNoEvil’ so angry with? And then there is the secret Facebook group rapidly gaining new members, stirring up anger against the person they believe responsible and organising a vigilante mob to take matters into their own hands. The blog, the Facebook group post and the story being told through multiple viewpoints, including those of the police and Katie’s boyfriend, gives the reader a great insight into what’s going on throughout Banktoun over these few fraught days. 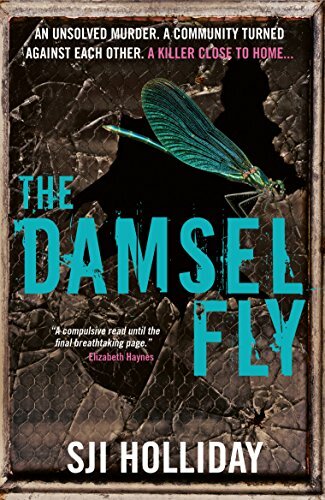 As I said at the start, I think that The Damselfly is the best of the trilogy and given that I really enjoyed the other two, that’s high praise. The author keeps up the tension throughout, with so many layers to the story all skilfully drawn together by the end. The characters are all so well depicted with all their strengths and weaknesses and the pace of the book is just perfect. 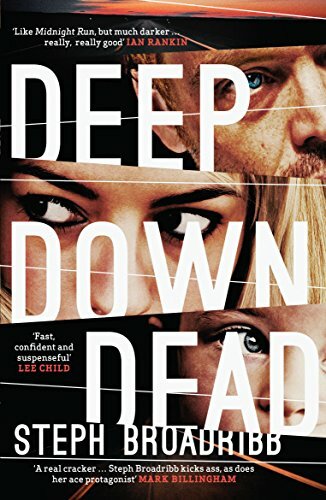 I was completely gripped throughout wondering what had happened to poor Katie and trying to guess what everyone’s secrets were and how they linked – or not – to the crime. The Damselfly is a book that will have you compulsively turning the pages right up to the final jaw-dropping ending! Below are a few photos from the book launch at Waterstones, West End, Edinburgh last Thursday. Susi had a chat with author Ian Patrick then there was time for questions from the audience. There was plenty wine, nibbles and of course Damselfly themed chocolates. There was a raffle to win one of the Damselfly bags and my half of the front row all won one -including me! You know how in the lottery you’d never expect 1, 2 and 3 to come out but that, being completely random of course, they can? Well that’s what happened – we’ll maybe just gloss over the fact that my friend managed to pick out her own ticket! Honestly it wasn’t a fix. Sadly the lottery scratchcard in the bag, which has a relevance to the story, wasn’t a winner but it was exciting revealing the numbers to find out. Susi was kind enough to answer my author spotlight questions so now it’s over to her. First of all Susi , would you tell me a little about yourself? I was born in Edinburgh and grew up in Haddington. I lived there until 1992 when I went to various universities, returning in the holidays to work in my dad’s pub. I finally left in 1999 and went to Dublin for work (as well as writing, I am also a statistician, analysing the results of clinical trials for pharmaceutical companies), and via many other places, I have settled in London. For now, anyway. I love travelling. In a previous life, I was definitely a nomad. I wrote hundreds of short stories, then I started and abandoned several novels. Finally, I settled on the story that I wanted to tell. Black Wood was inspired by a real thing that happened in my childhood. Once I realised this was what I was meant to be writing all along, it came out fast. I’d been attending various crime writing festivals since I’d started taking my writing seriously, and it was there that I met my agent-to-be. I signed with him in 2013, after he’d read my, at that point, incomplete novel. Having an agent spurred me on. I finished it quickly, we worked on edits, and it went out on submission in September of that year. 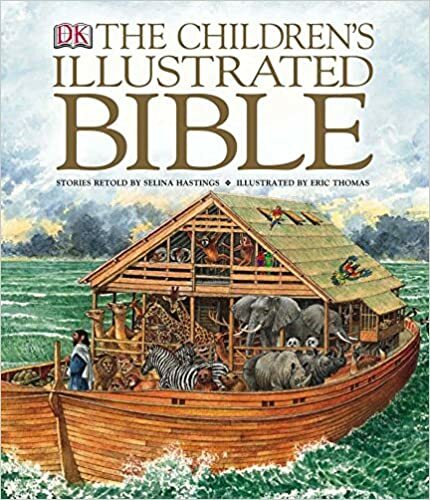 I didn’t get a publisher so easily. I went through a lot of rejections and maybes and a couple of rewrites before it was picked up by Black and White in 2014, and the rest, as they say, is history. It’s a tragic story about a promising teenage girl who is cut down in her prime, and the combined grief and rage of a community torn apart. I’m a big fan of The Silence of the Lambs, and I love the whole creepy moth motif. I wanted an insect on my cover! My husband and I researched various insects and we found The Damselfly – which sounds creepy all by itself. It’s a significant part of the story, but it won’t have any meaning until you read the book. This is my third book, and for every book so far I’ve had a launch event in Waterstones in Edinburgh one week, and in London the following week (or vice versa). I’m doing the same this year. It’s great to catch up with people, sign some books, give out some of my now famous book cover tote bags and chocolates, and have a few glasses of wine. Yes, but I never talk about my work in progress for fear of jinxing it! It’s not out yet, but The Binding Song by Elodie Harper is my absolute perfect kind of book. It terrified me. In a good way! 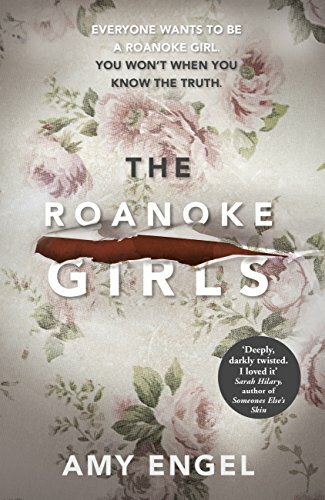 I also loved the beautifully written and deeply disturbing The Roanoke Girls by Amy Engel, and the rollercoaster ride that is Deep Down Dead by Steph Broadribb. 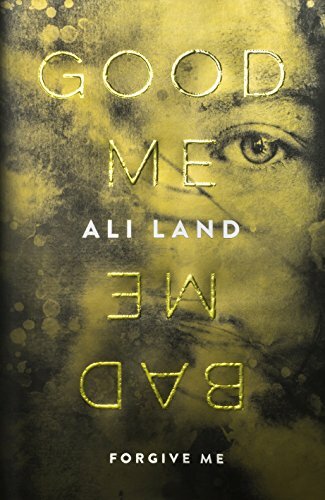 I’ve just finished the brilliant Good Me Bad Me by Ali Land. I’ve had to put down all current reads (there are several!) as I am in a writing phase. 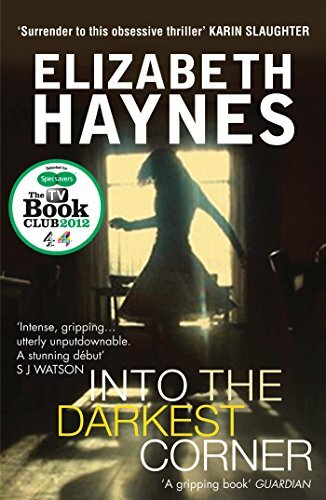 Into The Darkest Corner by Elizabeth Haynes would make a brilliant movie. I’d cast Tom Hardy as Lee, Ruth Wilson as Catherine and Tom Hiddleston as Stuart. I’m on twitter @SJIHolliday and Facebook.com/SJIHolliday. My website is www.sjiholliday.com. Clarice Starling in The Silence of the Lambs. I’d just love to be an FBI agent, even for one day! I even looked it up as a career choice, but sadly I’d never be eligible as I’m not a US citizen. I need to get the other two books in this series STAT! This one sounds great! Check out this review of the book, The Damsel Fly, by S.J.I Holiday courtesy of the Portobello Book blog.